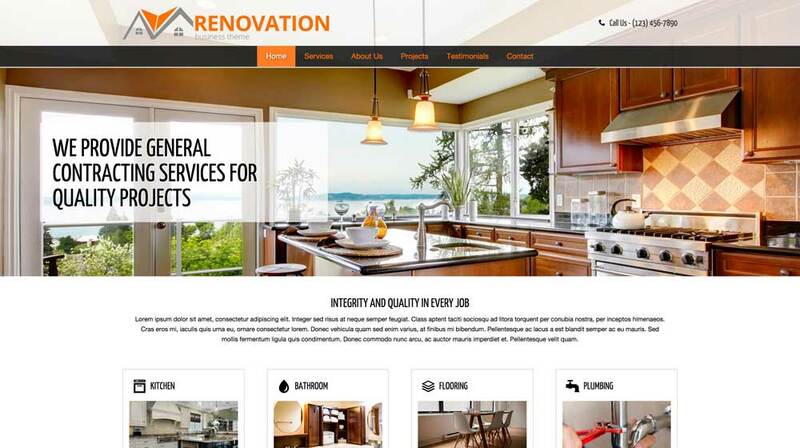 A sleek, professional website for your home remodeling business is within your reach when you start with the Renovation WordPress theme. With the design, layout, and demo content already in place, all it takes to create an impressive online presence is to fill in your own text and photos. 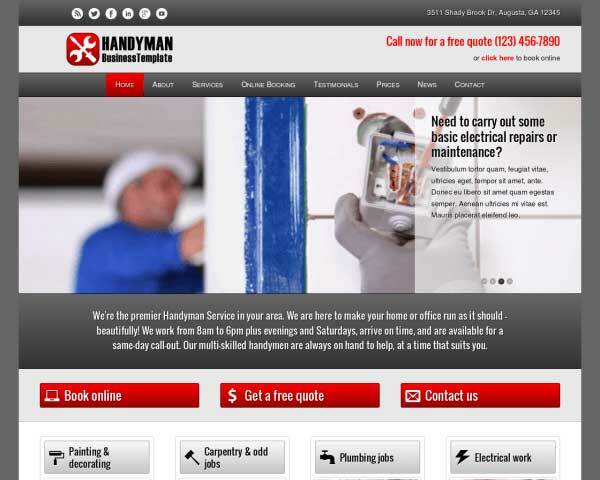 Contractors, decorators or any type of home improvement business can benefit greatly from having a professional website that shows visitors what you can do to beautifully transform their homes or businesses. 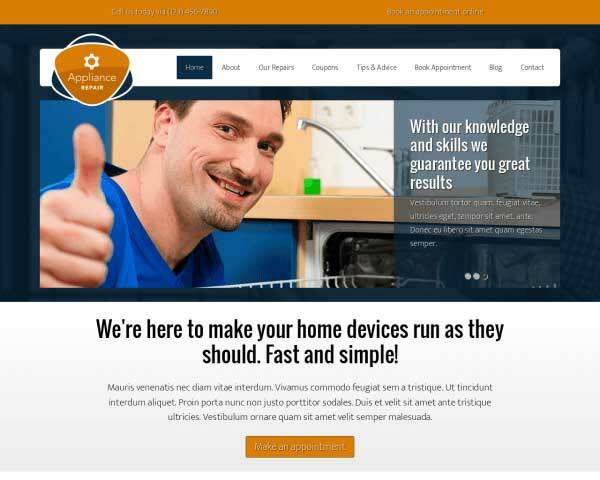 Right out of the box, the Renovation WordPress theme is set up with everything you need to get your own renovation services and portfolio online fast. Preconfigured pages are filled with placeholder content ready and waiting to be replaced with your own text and photos. No coding or plugins are required to customize the color scheme, change fonts or style your content thanks to our powerful front-end editor. 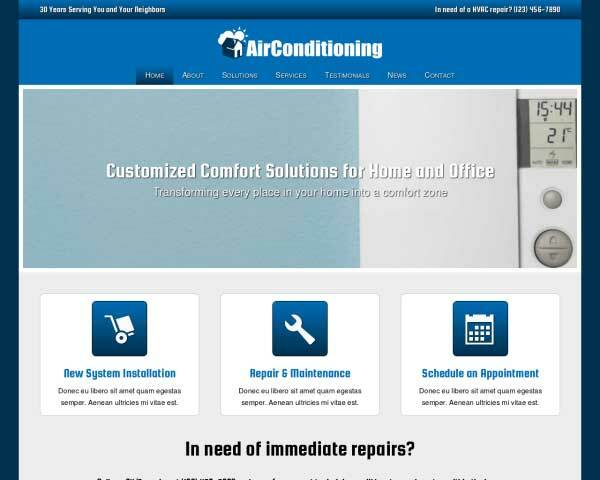 We've even included pages for your company profile, client testimonials, and contact details, plus built-in contact forms, social media options and a helpful SEO manager to boost your search rankings. 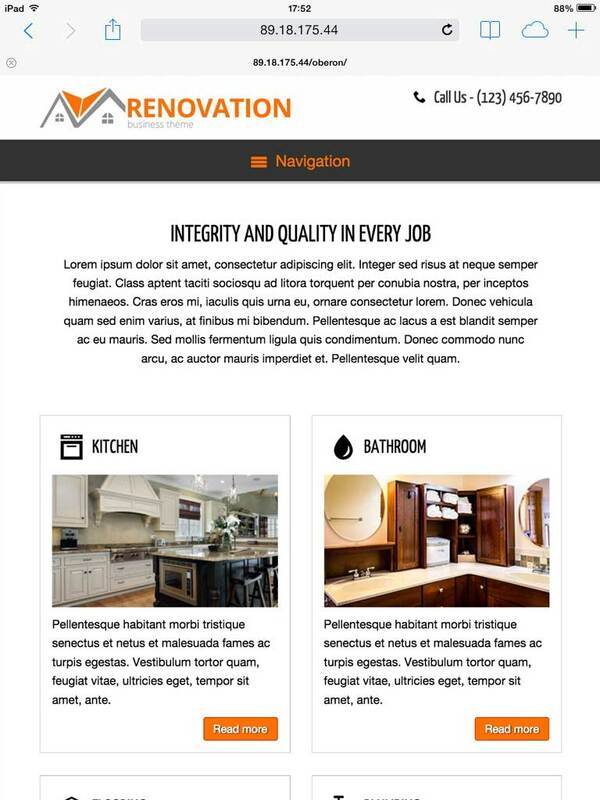 From the attention-grabbing full-width image slider on the homepage to service detail pages to lightbox image galleries for your completed projects, this responsive website template for home renovation companies is built to help you make a great impression and attract new clients online. 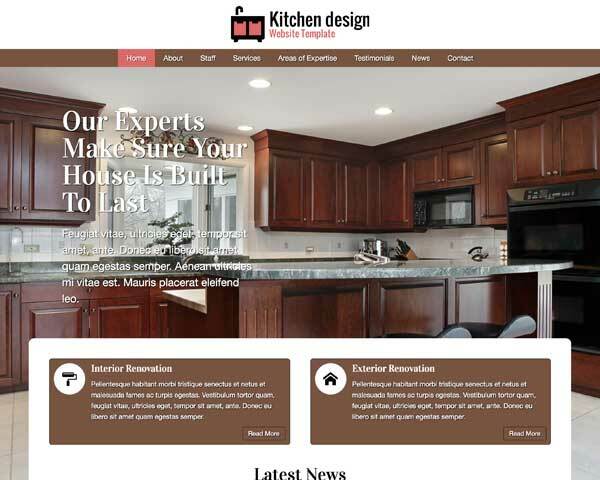 Take a look at our demo site and imagine the possibilities for your own home remodeling website built with the Renovation WordPress theme. 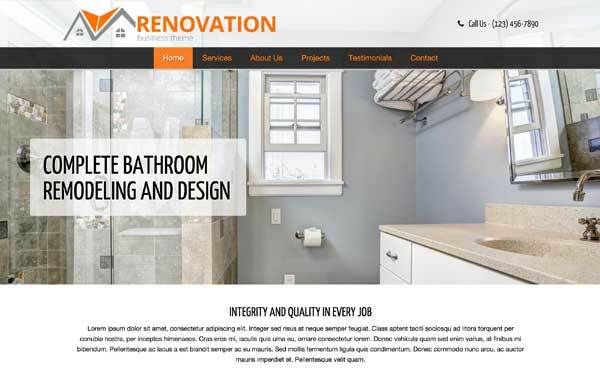 Before we began designing the Renovation WordPress Theme, we went to contractors to learn which features they'd like to see in a theme for this industry. 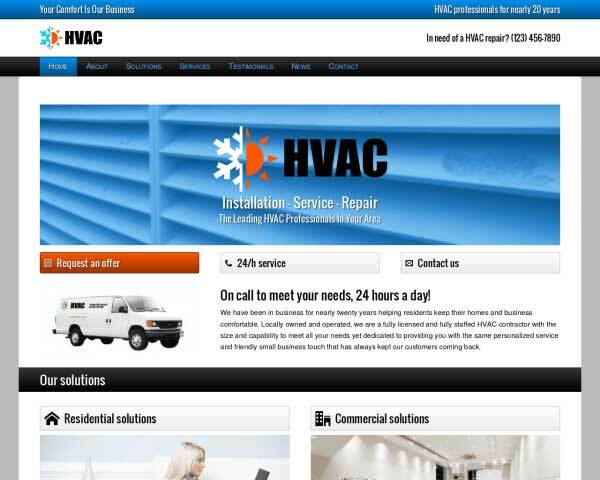 On every page of this WordPress theme for contractors, visitors are encouraged to take action and get in touch. Mobile visitors can just tap on your phone number to dial. 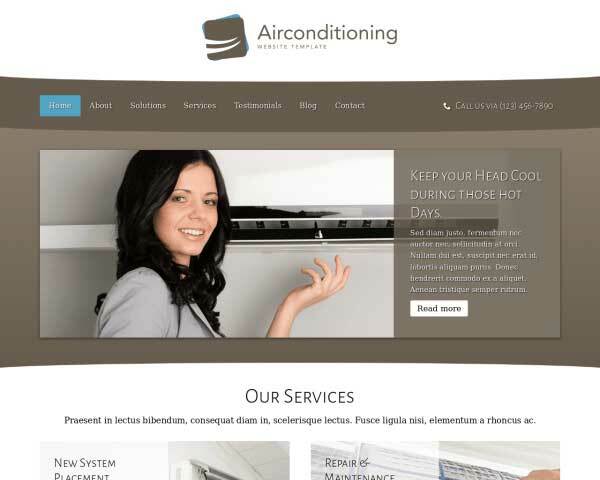 The Renovation WordPress Theme features a photo slider on the homepage where you can upload your own images. You'll also have the option to add captions and links to each slide. 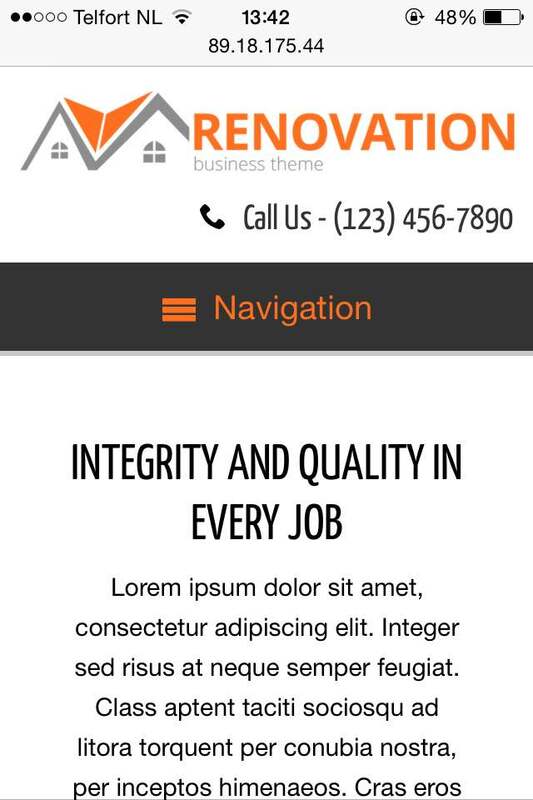 Improve customer expectations with the Renovation WordPress Theme. It helps increase contact inquiries with via the built-in contact form. 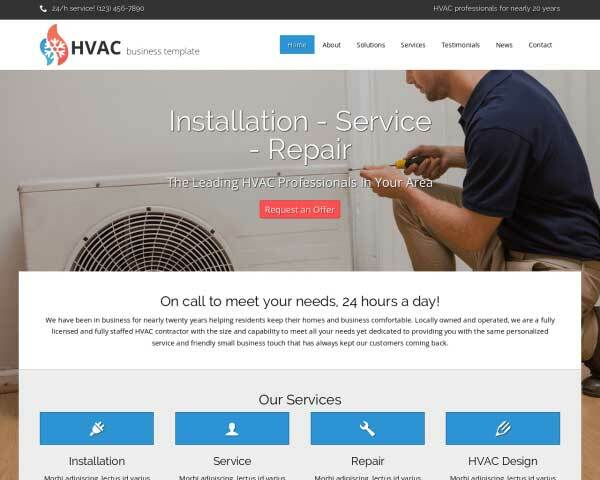 Give the Renovation WordPress Theme a personal touch by introducing each member of your team and sharing your approach to fantastic customer service. 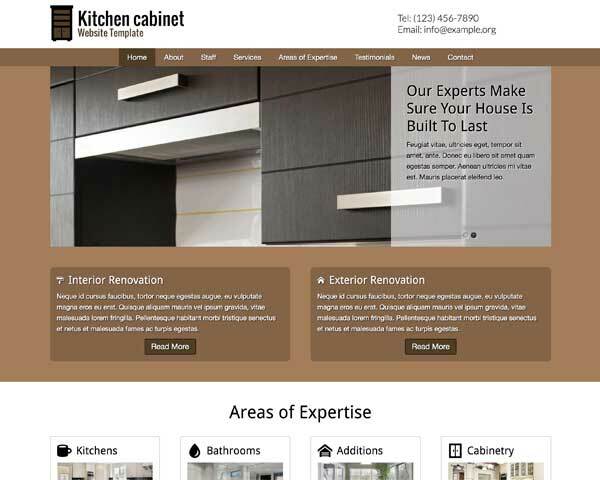 When you build your home remodeling website with the Renovation WordPress theme, you can be sure that visitors who use smartphones and tablets to browse your pages will be treated to the same professional look and functionality of the desktop version. Our mobile-optimized design will automatically adjust your content to display beautifully on any screen size — no plugins, coding or extra effort required! Mobile visitors will enjoy the convenience of being able to easily navigate to any page of your site, view your portfolio and simply tap on your phone number to dial.